Everybody wants to be Black when it’s fun to be Black. They want to rock cornrows on Instagram like Kylie Jenner. They want to make every year the year of the booty so that they can look like Kim Kardashian or Iggy Azalea. But when Black bodies are being slaughtered or continually discriminated against everyone wants to stay silent. Culture vultures are everywhere and the media just loves them. During her five minutes of fame, which culture didn’t Iggy Azalea misappropriate from? Oh and let’s not forget that Katy Perry had her dancers dressed like mummies with oversized butts. Like leagues of other pop stars, you’re favorite California gurl has the roar of misappropriation. The outrage over cultural misappropriation happens every few weeks, but then the anger quiets down again, and Taylor Swift starts twerking. Lately, it seems that everyone and their mamas want to misappropriate from Black culture. Nowadays, we have to worry about the Rachel Dolezals and magazines like Allure saying that an Afro is just a fun hair choice that anyone can try. I’m waiting on the Vogue spread on how Miley Cyrus brought back Kente cloths and R&B. In all seriousness, the issue of cultural misappropriation is deeper than cornrows, big booties, and the #Kyliejennerlipchallenge. Somehow, people still believe that Black culture is like a giant thrift store. You can go in and leave with the thriftiest things and a couple of sassy catchphrases. An Afro isn’t just an Afro. It represents the years of struggle from Black men and women. When you take pieces of a culture, without understanding and honoring them, you run the risk of desensitizing yourself and the rest of society to that culture. Misappropriation is disrespectful. One reason that everyone thinks it’s okay to steal from Black culture is that people don’t respect our culture. 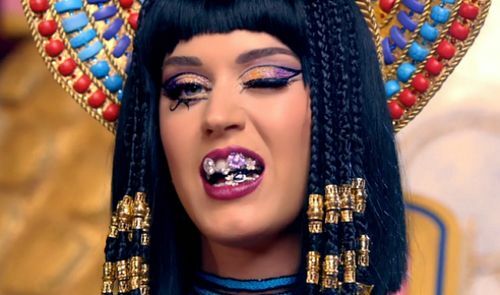 To start fixing the issue of cultural misappropriation of Black culture, people need to start having respect for it. Next Post Help?! Once you go natural do you start off with complete protective styles?